LATEST UPDATE dated 29.10.2018: UPPCL has uploaded Answer Keys for Office Assistant Online Exam 2018. Download UPPCL Response Sheet & Send Objections from link given below..
Expected Cut Off Marks for UPPCL Office Assistant Online Exam is available Now. Check Category wise Cut Off Marks from link given below…. Advt. No. 01/VSA/2017/ Revised Uttar Pradesh Power Corporation Limited has earlier issued Recruitment Notification for 2296 Office Assistant & 227 Stenographer Posts. As Scheduled, Online Computer Based Exam has to be done for these Posts. UPPCL has earlier announced Written Exam Dates in September 2017 but postponed Exam due to floods in the State. Finally UPPCL has conducted Online Written Exam for Stenographer Grade 3 & Office Assistant Accounts Posts on 8, 9 February, 2018. UPPCL has conducted Computer Based Exam for the above mentioned Posts. Exam for Office Assistant Grade 3 was conducted from 16 to 23 February, 2018. But those Exams were cancelled. UPPCL has conducted Office Assistant Accounts & Stenographer Exam on 28 August, 2018. UPPCL has conducted Office Assistant Grade 3 Exam from 22 September, 2018. UP Power Corporation Limited conducted Written Exam as 1st Stage of Selection Process. Candidates who appeared in UPPCL Online Exam for Office Assistant/ Steno Posts, must be waiting for Answer Keys/ Response Sheet of Online Computer Based Exam. UPPCL will upload Answer Key Post wise & Exam, Shift wise on its official website. It is expected that UPPCL Answer Key 2018 may upload & available in February Last Week/ March, 2018. So All Candidates need to have regular watch on Official UPPCL Website. UPPCL First Upload Answer Key for Office Assistant/ Stenographer Online Written Exam 2018. Objections/ Answer Key Challenge will be asked from Candidates. Based on Objections, Final Answer Key will be uploaded. Written Exam Result/ Merit List is based on the Final Answer Key. No change can be done further. Good News !! UPPCL has uploaded Answer Key/ Response Sheet for Stenographer Grade 3, Office Assistant Accounts & ARO/ APS Exam 2018. Candidates can also send Objections. Download UPPCL Online Exam Answer Key & Send Objections from links given below….. Objection Form : UPPCL will ask candidates regarding Objections in Answer Keys. So Candidates who found any question/ answer wrong can send Objections from Answer Key/ Objection Portal. Candidates will be able to send representations/ objections up to Last Date (mention in Answer Key Notice). Hi Dhirendra, Exam cancel ho gya tha, Ab Dobara Exam hoga. Get Details from given link..
Hi Dhirendra, Result ka kuch confirm nahi hai kyunki paper leak ki news hai. Typing Test result aane ke within one month ho sakta hai. 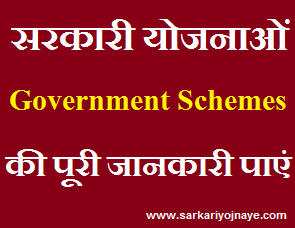 Get Result updates from given link..
Hi Dhirendra, Result is not announced. Get Result Date, Updates from given link.. I have given online aro exam of uppcl. My response sheet is not showing. Server error and unhandled exceptional error is showing pdf file not found is showing. Is this with all candidates, or only me? What should i do in this case? Pls help me on it.